VIPAccessEXCLUSIVE: DJ Phenomenon Jay Hardway Updated Interview With Alexisjoyvipaccess At Pacha, NYC! The wonderful world of EDM continues to flourish more and more as the days go by – from new music coming out to various EDM festivals. With the emergence of new EDM producers and the presence of well-known and respected DJs who are veterans to the field, there is one DJ / music producer who sets himself a part from the rest, one DJ who is unrivaled and unmatched, one DJ who goes by the name of Jay Hardway. As soon as the remarkable Jay Hardway set foot in the music industry, he already was respected as a prolific and fantastic DJ, and now with years under his belt working on his brilliant tracks and doing an endless amount of mesmerizing performances, Jay Hardway continues to prove himself as an absolute legend. With chart-topping, electric and awe-inspiring tracks such as “Bootcamp”, “Freedom”, “Wake Up”, “Wizard” and more, Jay Hardway has and continues to create some of the greatest tracks that have ever surfaced this planet. Jay Hardway’s projects are all masterpieces. His success was already massive then, and now a year and a half later since our last interview, Jay Hardway’s success continues to skyrocket rapidly. Jay Hardway has been producing more phenomenal tracks and a plane has become his second home as he has been traveling non-stop performing around all of the cities you can pinpoint on the globe. One thing about Jay Hardway’s music is that whether you are in North America, South America, Asia, Europe, or Australia, no matter what language you speak, Jay Hardway’s outstanding music brings people together in one musical celebration. Jay Hardway just finished up an exceptional North American tour where each performance was something special and was a life-changing experience for all who attended. Despite his incredible success, Jay Hardway continues to remain so humble and this stupendous DJ will continue to leave a lasting legacy. I, Alexisjoyvipaccess had the great honor of interviewing worldwide renowned DJ, Jay Hardway at his second to the last performance on his North American tour at none other than one of the most well-known and highly-acclaimed clubs in the world, Pacha NYC. In our updated VIPAccessEXCLUSIVE interview, Jay Hardway dishes exclusively to Alexisjoyvipaccess all about what has been his favorite part during his North American tour, his favorite track that he has produced so far, his upcoming event during the Amsterdam Dance Event and so much more. Hear what Jay Hardway had to say about his upcoming projects and catch him do a fun speed round only in our updated VIPAccessEXCLUSIVE interview below! Thanks for another excellent interview, Jay – I had a blast! Check out my updated VIPAccessEXCLUSIVE interview with the DJ genius: Jay Hardway at Pacha, NYC below! Pacha, NYC is known for booking some of the greatest DJs at its club, such as legend Jay Hardway, and the outstanding club atmosphere gives everyone an unforgettable experience. What better way to have celebrated a Friday night than at an amazing club with an extraordinary DJ? 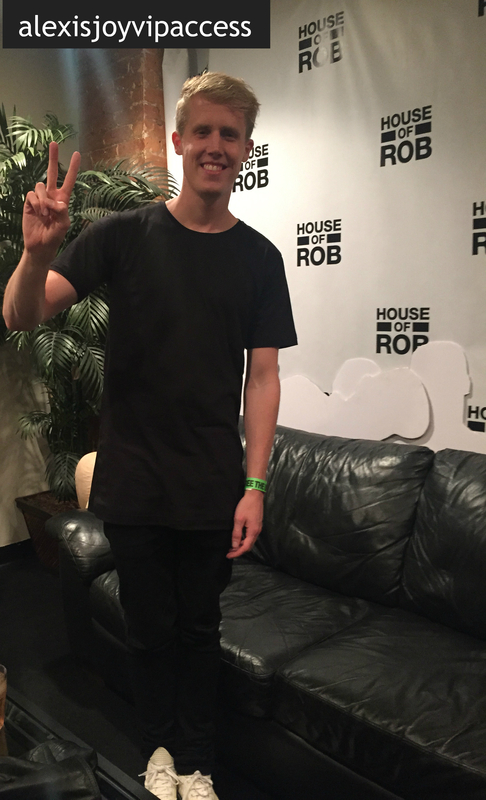 Jay Hardway gave everyone a sensational performance at Pacha, NYC on September 25, 2015. Previous Article: A Big Congratulations To The Marvelous Merrell Twins On Reaching 500K Subscribers! Next Article: Melissa Carcache Looks Ravishing In Red At Variety’s 10 Latinos To Watch Event! That was an very interesting & well written article you did for this awesome Jay Hardway & luv the fotos.